Neenah, WI - One of the key challenges transportation professionals face under FMCSA’s ELD mandate is understanding how to successfully manage their transition to ELogs. 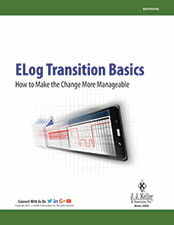 To provide fleets with best practices for successfully managing the transition to ELogs, J. J. Keller has created a complimentary whitepaper titled “ELog Transition Basics: How to Make the Change More Manageable.” This whitepaper includes guidance for selecting an ELD system, implementing ELDs, getting management and driver buy-in, developing ELD policies and procedures, providing driver and supervisor training, and more. "The change management approach presented in this whitepaper will work whether a fleet has five trucks or 5,000 trucks," added Bray. "But only if it's put into action now. Fleets that procrastinate are going to find the transition very difficult to accomplish properly in time for the mandate deadline." 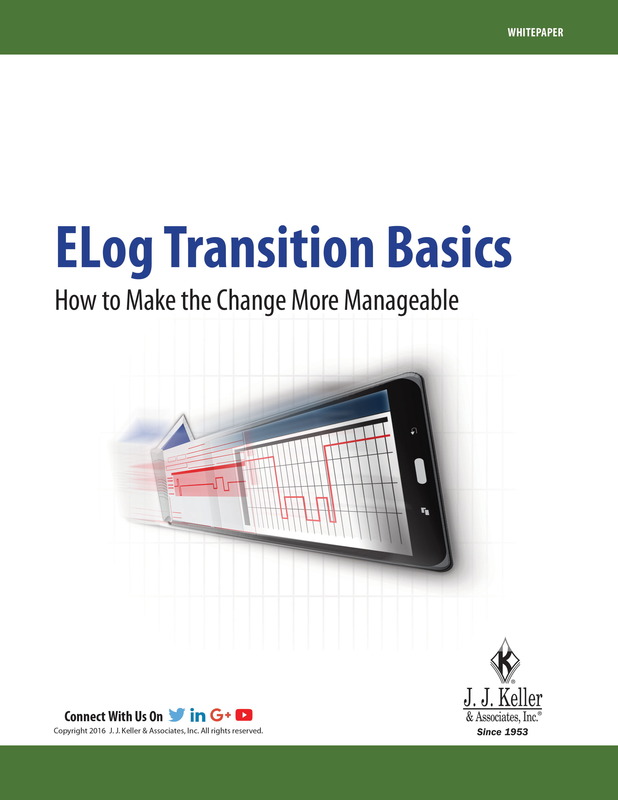 To request J. J. Keller's free “ELog Transition Basics: How to Make the Change More Manageable” whitepaper, visit JJKeller.com/ELogTransition or call 855-693-5338. Transportation professionals rely on J. J. Keller® in-house expertise and wide selection of products and services to reduce risk and improve regulatory compliance, performance management and operational efficiency. For more information, visit JJKeller.com.